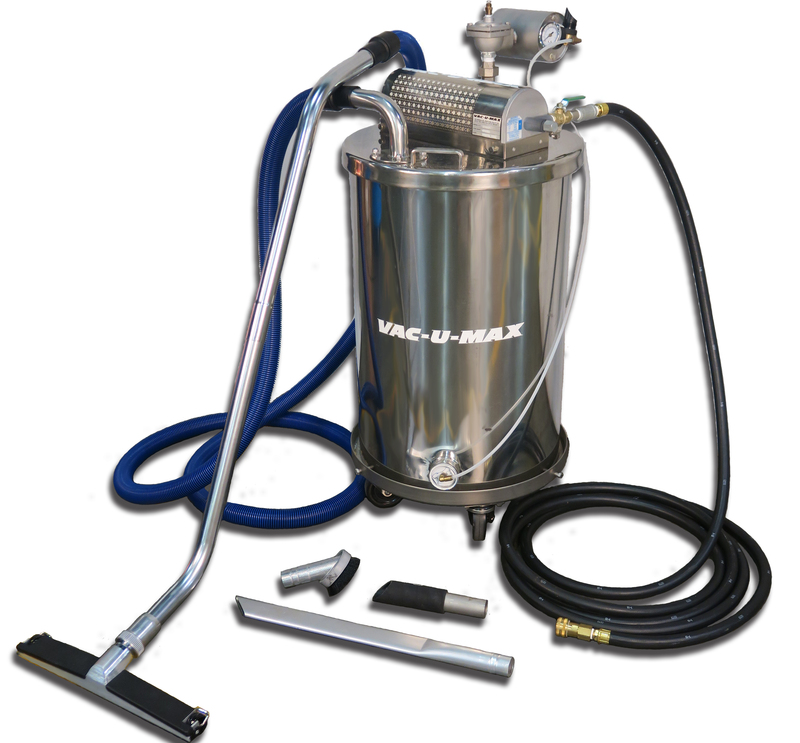 VAC-U-MAX compressed-air powered vacuums are ATEX tested and certified, and the first-line offerings for Class II, Division 2 environments due to their bumper-to-bumper grounded and bonded design and their reasonable cost and availability. 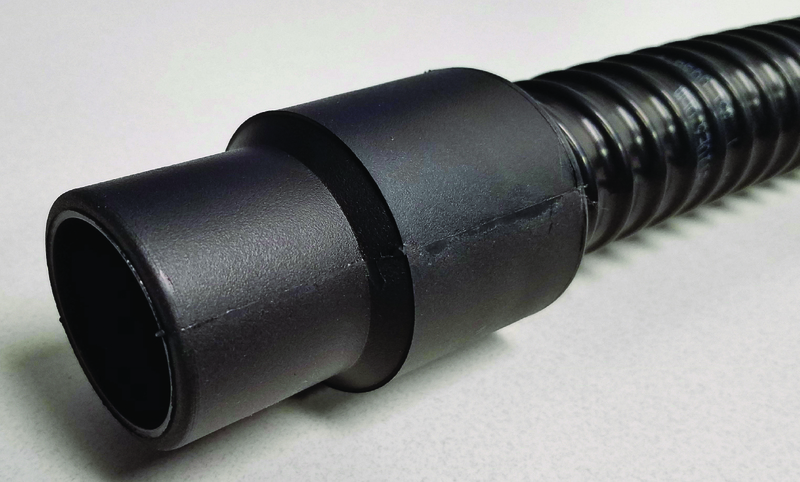 These vacuums meet NFPA 77 requirements for grounding and bonding - meeting the definition of an “intrinsically-safe system”. "Intrinsically-safe" systems are designed to be unable to release thermal or electrical energy which can cause ignition of flammable materials (combustible dusts). Explosion sources include electrical sparks and arcs, flames, hot surfaces, static, electromagnetic radiation, and chemical reactions. Intrinsic safety is covered under OSHA Regulations (Standards - 29 CFR), hazardous (classified) locations 1910.307 and 1926.407. 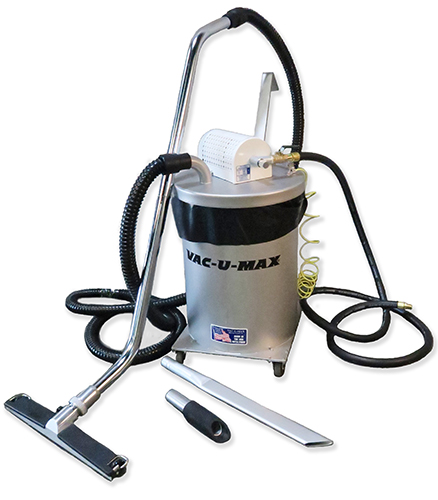 VAC-U-MAX Combustible Dust Air-Vacs are all "Intrinsically Safe", that being they are air-powered, do not use electricity, and do not generate any heat from operation. 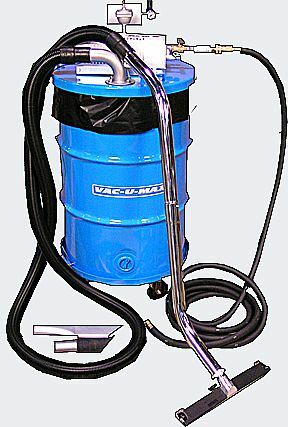 These VAC-U-MAX Industrial air operated vacuums are a “system” and include the vacuum cover, drum, dolly, vacuum hose and cleaning tools, compressed air hose with quick-disconnect fittings, and polybag drum liners. 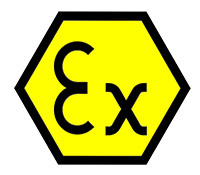 There are no components that are supplied by the customer and we are therefore able to offer a suitable-for-service certification in a Class II, Division 2 environment.